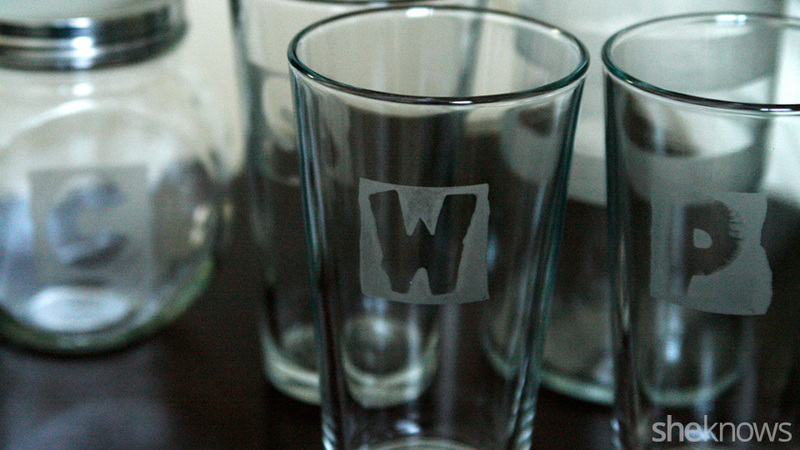 Love the look of etched glassware? Create your own styles with a few simple supplies in minutes. 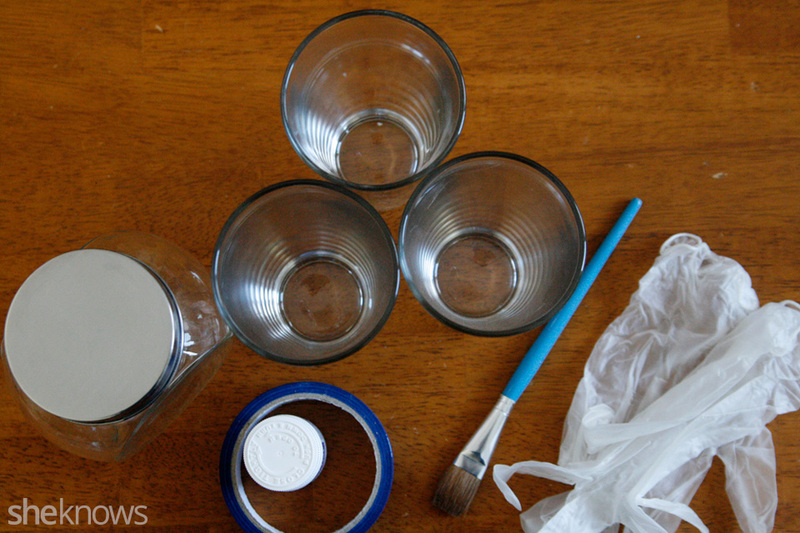 Clean your glassware to remove any dirt, fingerprints or debris. Let dry completely. 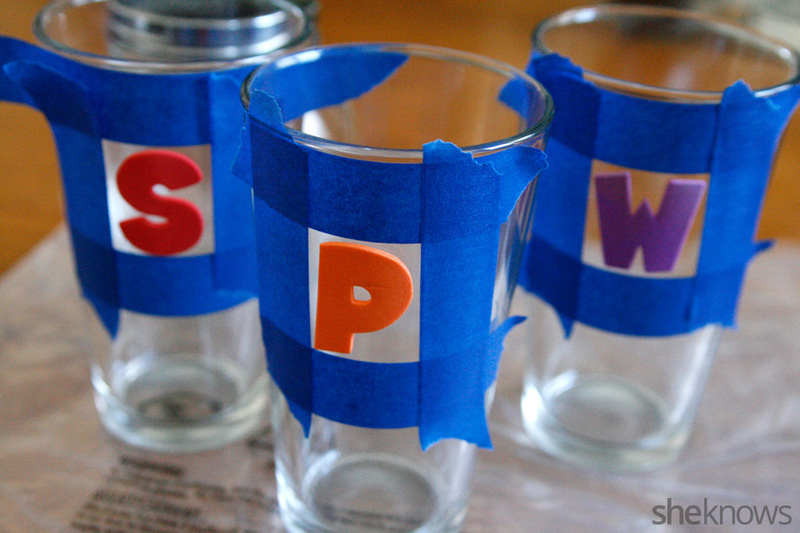 Use painters tape and stencils to mark the area you want to etch. The tape will also ensure that the etching cream goes where it should. Be sure to firmly press it down to adhere to the glass. Lay out the plastic to protect your work area. Put the gloves on. 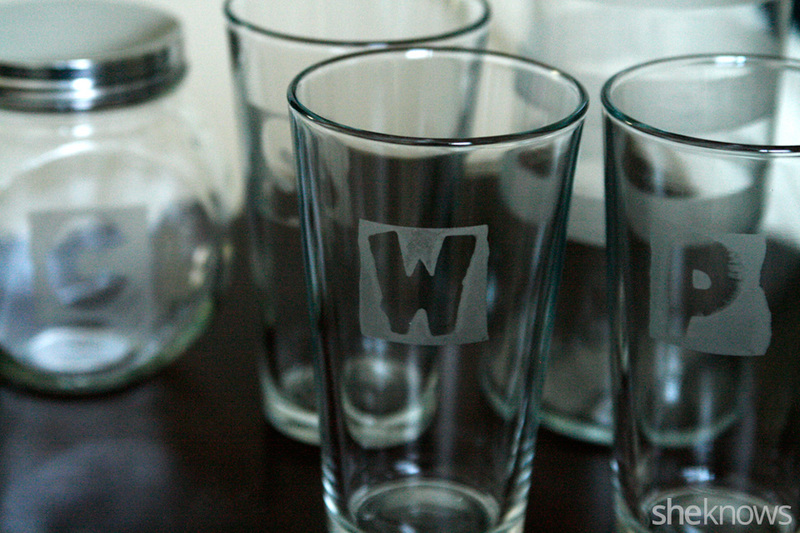 Place your taped-off glassware on it, and use the paint brush to brush the etching cream all over the glass area in an even coat. It should be on the thicker side. Set a timer for 5 minutes and let sit. 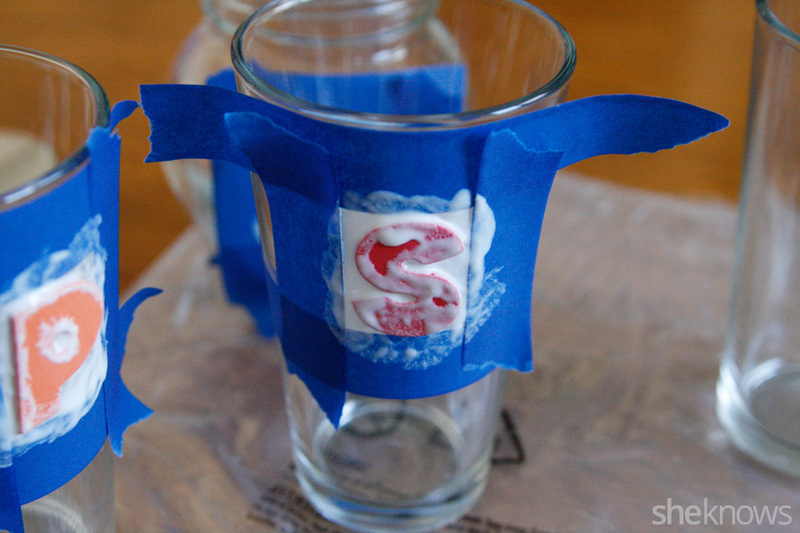 Using gloved hands, rinse the glass under very hot water to remove the etching cream. Use your gloved fingers to help rinse it away. Remove the tape and stencil. Let dry. Wash with soapy water before using. Hint: If you have an enamel sink, don’t wash away the etching cream in it — it will ruin the finish. Instead, use a bucket and wash it off outside.